A versatile notebook for smaller budgets. 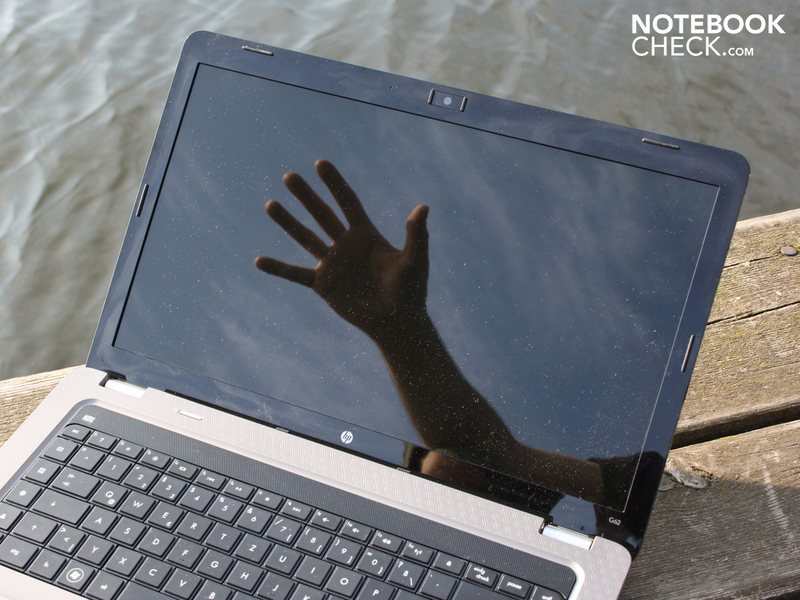 This is how HP describes its 15.6-inch G62-130EG. And to judge from the specs, the machine does have a lot to offer. As well as a modern Core i3-330M processor it comes with a fast (7,200 rpm) hard drive with a 500 GB capacity. A particular draw is the 5000-series ATI DirectX 11 graphics card. Can you get a genuine all-rounder for this low a price? We examine all aspects of the G62-130EG, and see whether it follows up its good first impression with a good performance in the practical tests. The G62-130EG’s case is refreshingly different. 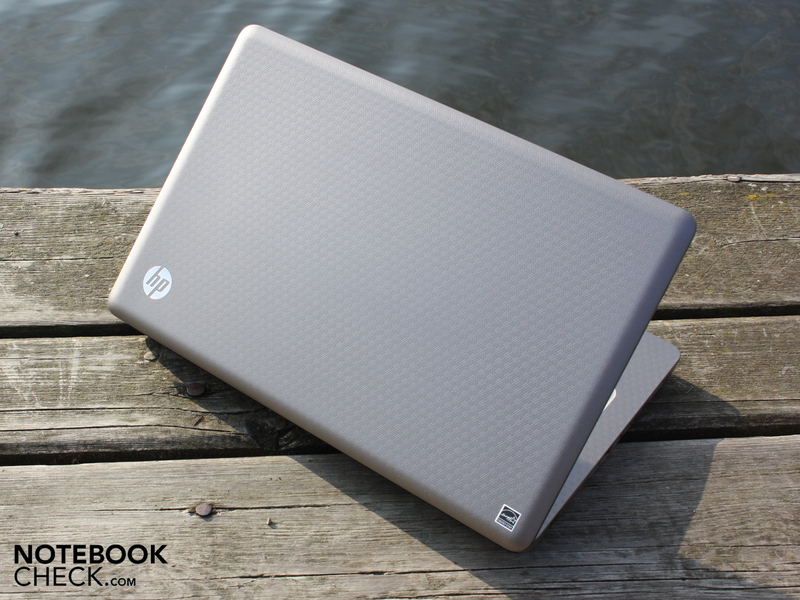 HP has gone for a unibody look, similar to that of the MacBook. But the case is not made of a single sheet of aluminium; in fact it is made up of several homogenous-looking pieces. 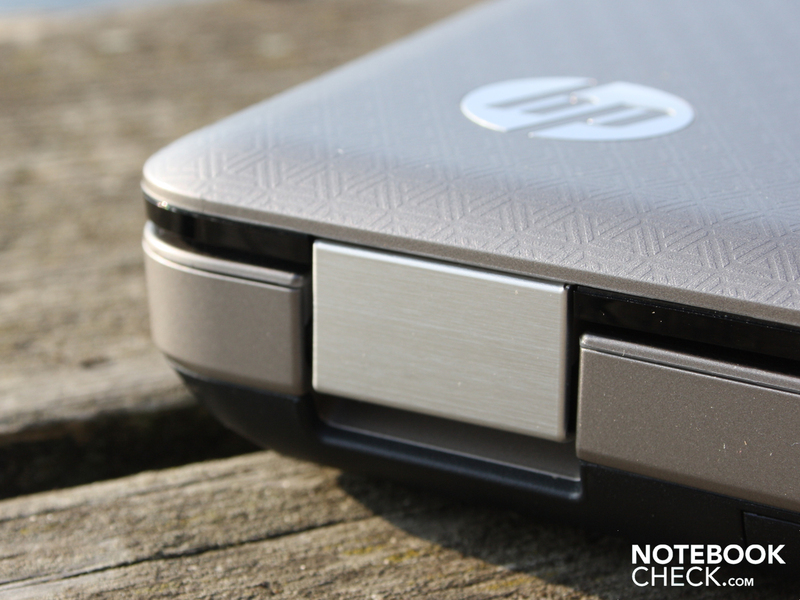 Where other base units try for a modern slim-line effect by tapering towards the front, HP seems to have decided on a simple symmetrical profile. However, the eye has been deceived by the black base plate, as the case does in fact taper a little towards the front. The 2.55 kg case is suitable for mobile use thanks to its durable surfaces; and its sensible appearance means it will fit in anywhere from a home office to student digs. The surface of the top of the base unit has a pleasant feel to it. The plastic surface has a pattern of prisms all over it, and comes in a colour which HP call ‘biscotti’. It is non-slip and yet still feels smooth. 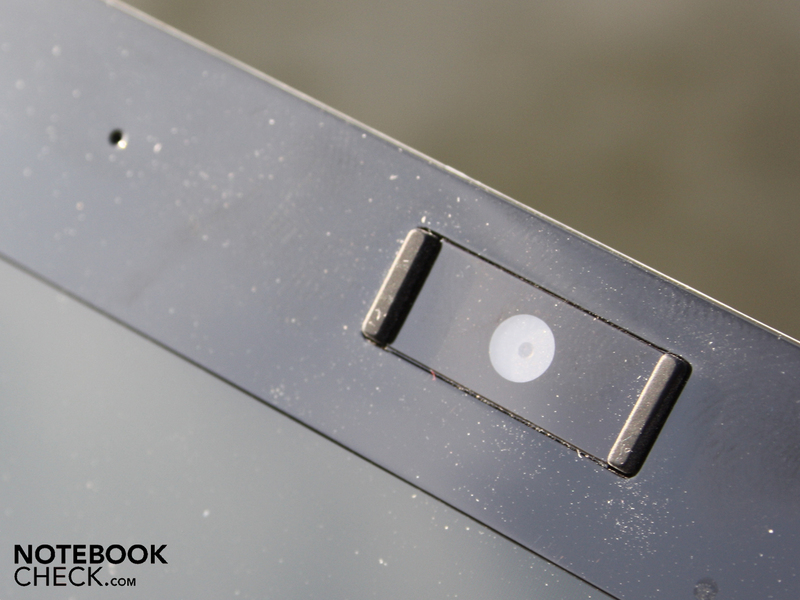 The surface stands up well against fingerprints and greasy smears, which only appear on the glossy screen bezel. The compact-looking case is robust and has a high-quality appearance thanks to its clean workmanship. You can make the base unit flex if you use both hands, but only very slightly. 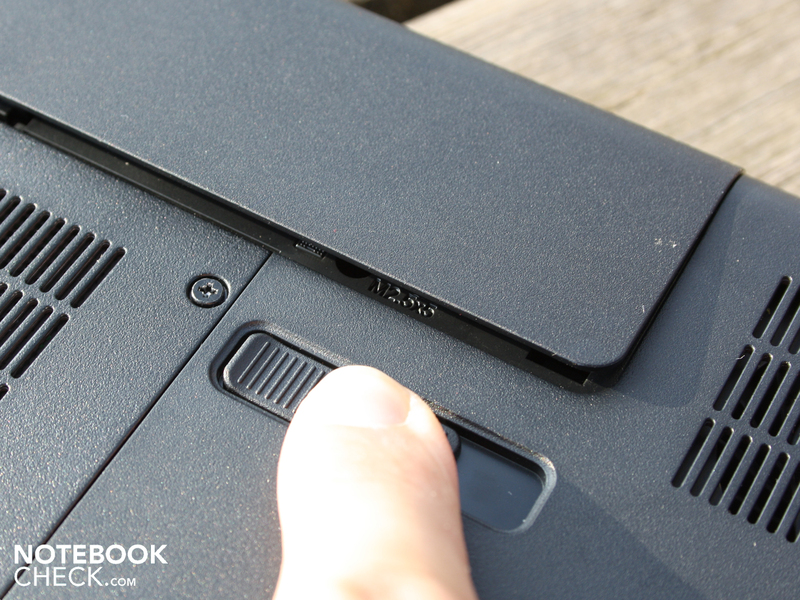 The palm rest is solid at every point, and the same goes for the keyboard area (and the region above the DVD drive). The lid can be made to flex more easily, but only within a limited range of angles. Its rigid, non-slip surface gives it high-quality appearance. You can make the lid give way very slightly in the middle using some localised pressure. 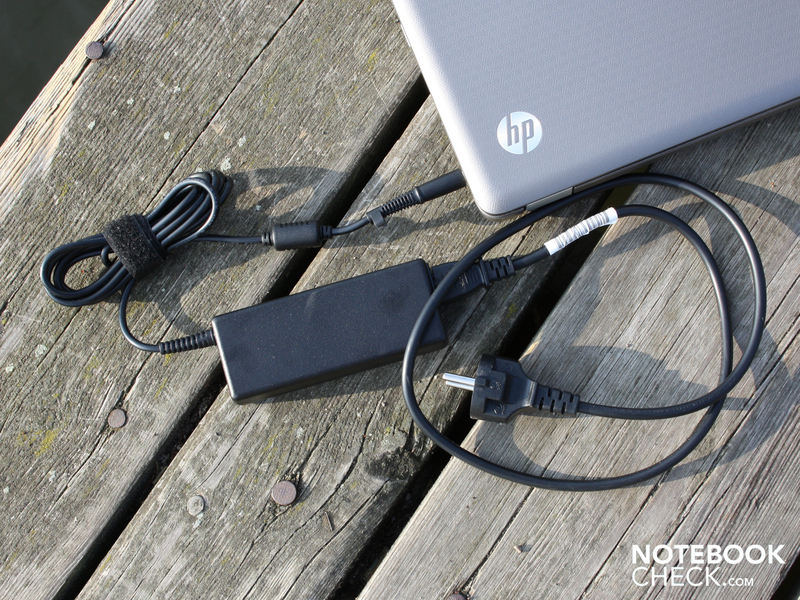 The battery can be taken out when you’re using the notebook at a desk. Unlocking it and removing it can be done with only one hand. It does not leave a gaping hole in the top of the base unit. The robust aluminium hinges hold the lid firmly in place. They are so tight that we needed both hands to open the lid. The hinges themselves sit very firmly in their mounting. 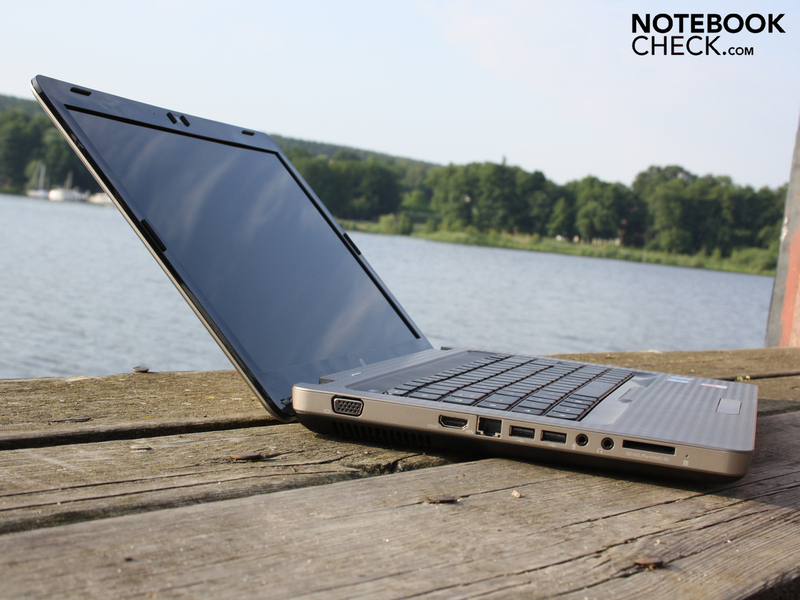 The maximum opening angle of 135° is more than enough for using the notebook on your lap. 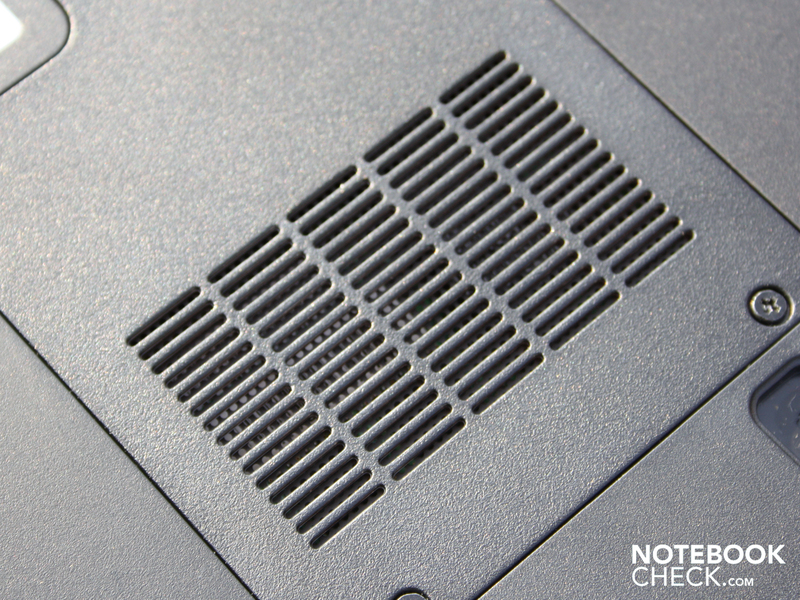 The base plate only flexes a little in the area of the air vents. Two access panels on the underside make it possible to perform upgrades on the hard drive, memory (DDR3 SDRAM) and WLAN module (mini PCI Express). For connecting the usual peripherals like printers, routers, mice or external hard drives, the HP G62-130EG offers a limited array of ports. There is no eSATA (for external HDDs), Display Port or FireWire; but external monitors or TV screens can be connected over HDMI or the analogue VGA port. There are only three USBs. The positioning of the VGA and HDMI ports (on the left-hand side, towards the back) and the right-hand USB (towards the back) is sensible, allowing an uncluttered workspace on your desk. It means that whether you use the mouse on the left or the right-hand side it won’t get tangled up in other cables. 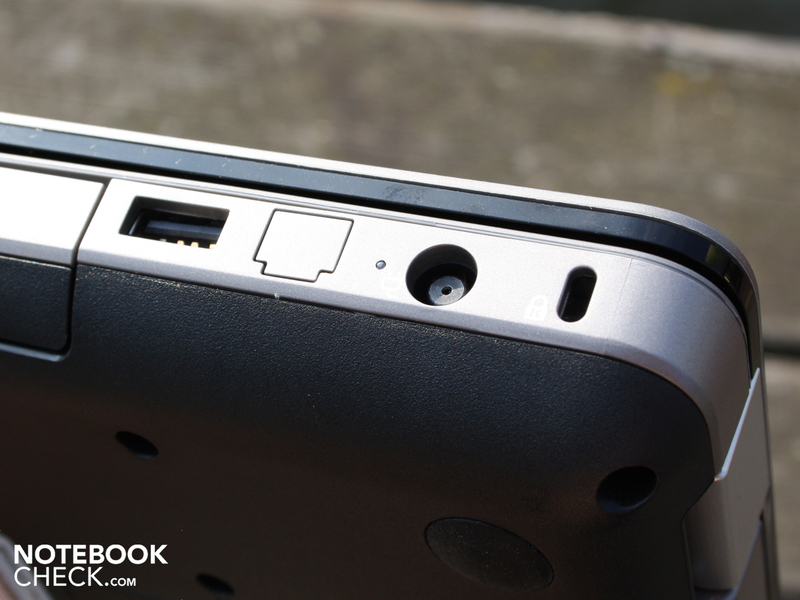 The hinges sit too deeply on the back edge to allow the power socket to be positioned there. The notebook’s Atheros AR9285 wireless network adaptor supports the fastest draft-N standard (WLAN 802.11 bgn). However, there is no integrated Bluetooth module and the Realtek network card is no longer cutting edge. It is a Fast Ethernet adaptor; anyone using a Gigabit switch at home will not be able to get the fastest speeds with the HP G62. The keys respond firmly and depress to quite a depth. The impact at the end of the stroke makes a dull click and is relatively soft. Those who don’t like a hard impact when typing will like the feel of this keyboard. The keyboard sits firmly in position and only flexes a little in a small area around the D, F and G keys. HP has decided against a number pad so that the main keyboard can be larger. So on the far right you only have the page up and down keys, delete, home and end. This can be seen as a good thing, as these keys would otherwise have been placed somewhere less convenient in the layout. Having the delete key right in the corner is particularly handy. The touchpad is a Synaptics multi-touch pad (LuxPad V7.4). Its surface blends seamlessly with the palm rest area, and it is pleasantly easy to use. 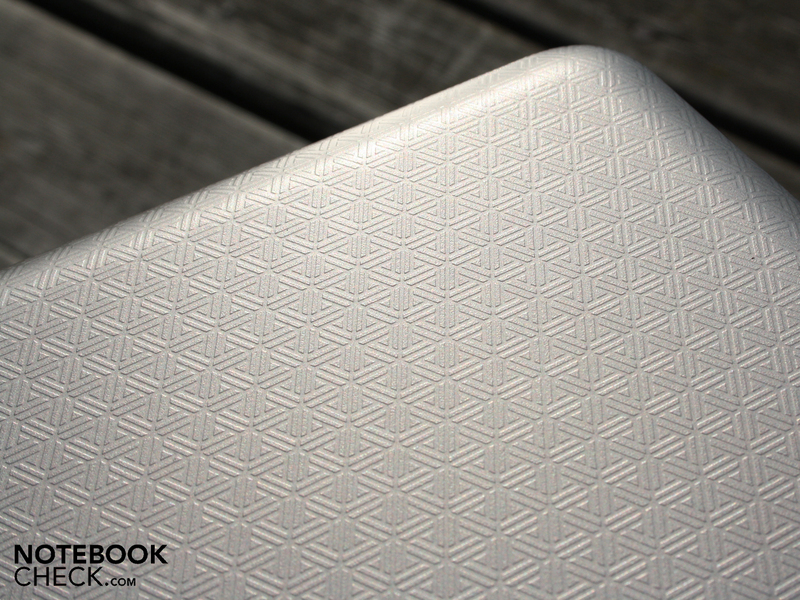 The name LuxPad refers to the light sensor on the top left of the pad. 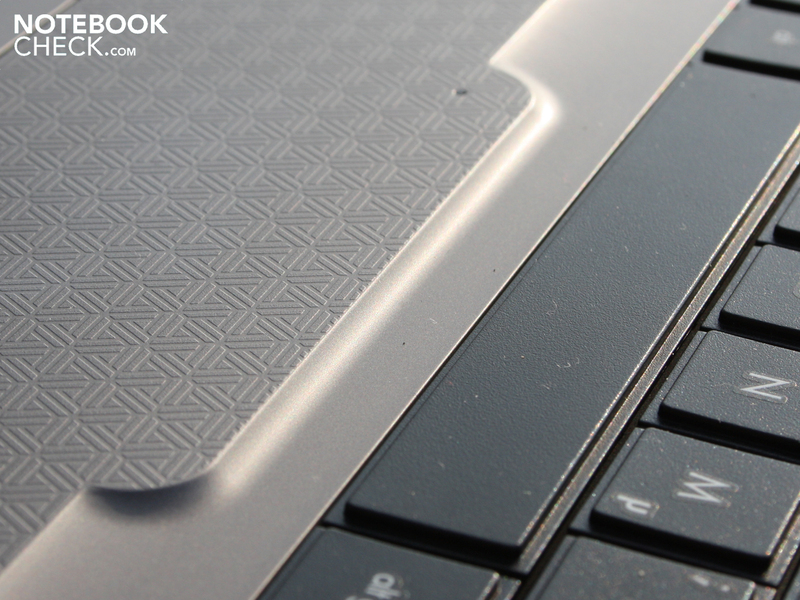 If you cover this with your hand while typing, it deactivates the surface of the touchpad. 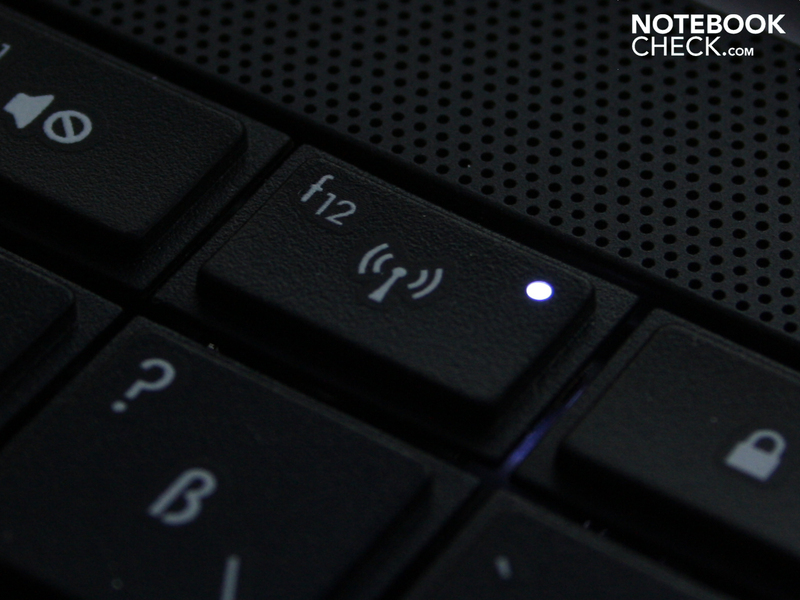 This prevents accidental movements of the cursor, without you having to switch off the touchpad manually. Accordingly there is no special function key for turning the touchpad off. The sensor can also be set to activate or deactivate the pad entirely. The touchpad surface has horizontal and vertical scrollbars, which are not marked. Horizontal scrolling is disabled to begin with, but it can be reactivated under mouse properties. The touchpad keys make an almost imperceptible click, but it takes quite a lot of force to press them, as they have virtually no travel. This means that the tactile feedback is minimal and they are uncomfortable to use. 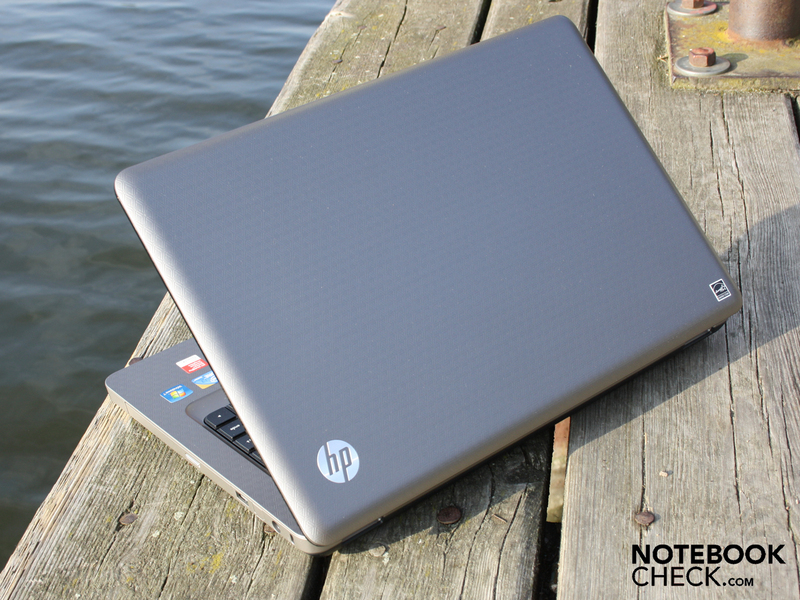 HP has set a high standard in terms of the outward appearance of this 15.6-inch laptop. Unfortunately, they let themselves down when it came to the screen. The glossy LG Philips display (model type LP156WH2-TLQA) has a native resolution of 1,366 x 768 pixels (WXGA). This gives a 16:9 aspect ratio. The screen’s weak point is its poor contrast of 159:1. 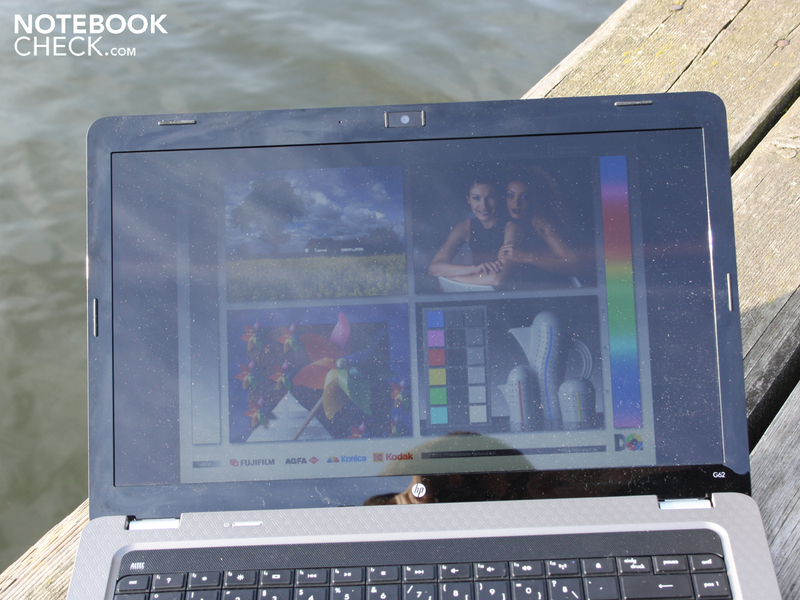 A low contrast ratio such as this is typical for office notebooks and many netbooks. The glossy screen finish does improve the visual effect of the contrast, but colours still appear rather washed-out to the naked eye. Black areas on the screen are not a deep, pure black but have a greyish tinge to them. An office user would prefer a matt display, to minimise unhelpful reflections in the workplace. But for looking at photos, watching films or playing computer games, the glossy screen does make the colours a little more vibrant at least. Like the contrast, the screen brightness is low. We measured an average brightness of 182.6 cd/m². This is more than enough for use indoors, but if your surroundings are very bright (for instance in direct sunlight) you will be met with a dark screen. 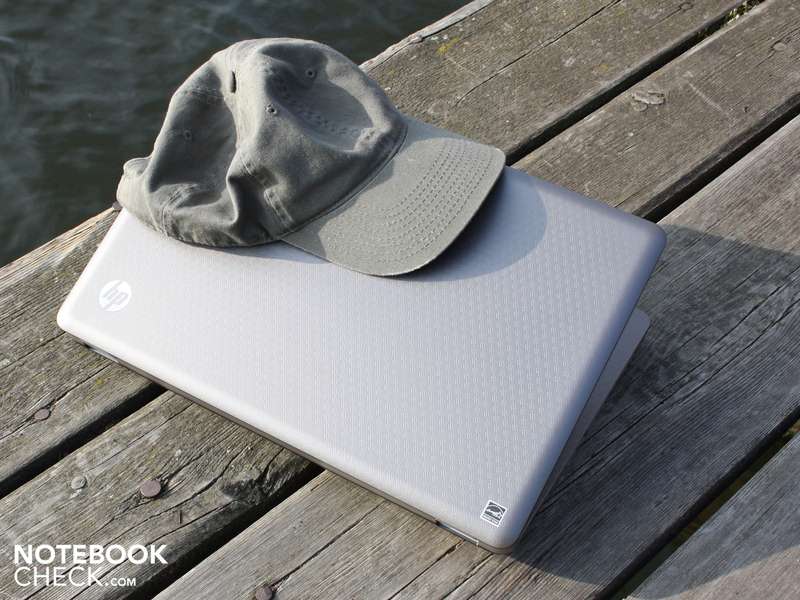 If you venture outdoors to work or play with your G62-130EG in the sun, you will not be especially pleased with this all-rounder from HP. 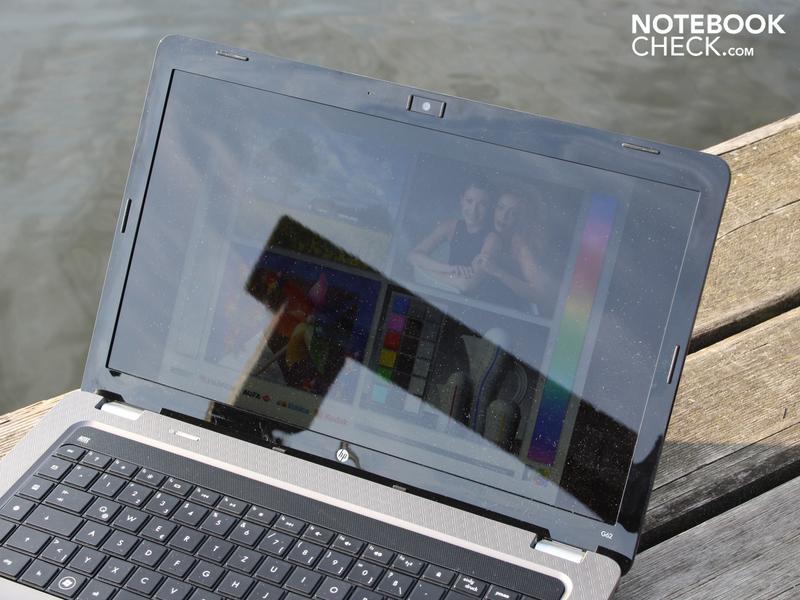 Without an anti-reflection coating, the 15.6-inch screen cannot guard against reflections. 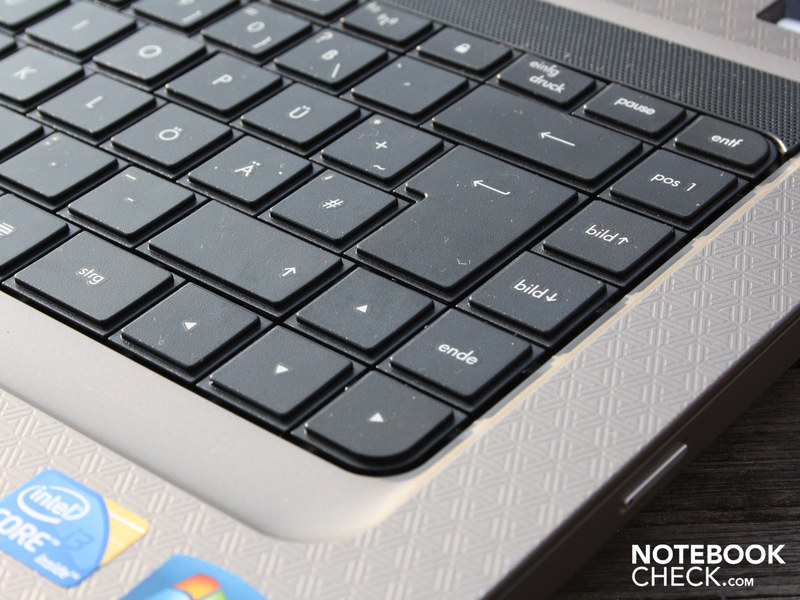 A matt screen would be the classic choice for an office machine, but the G62 is also a multimedia notebook, and is therefore supposed to show off colours as well as possible. The low brightness of 183 cd/m² is a further hindrance, as it means the screen is simply too dark in sunlight for you to be able to read anything. 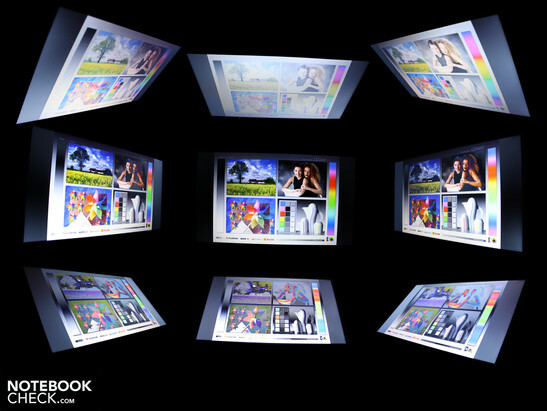 In the horizontal direction, we could move a maximum of 45° from the face-on position before the screen started to darken and the colours inverted. Vertically, the problem with the colours started even with a small deviation of 10°. Colours started to fade and the picture got darker. The colour inversions of the G62 are clear to see from the darkroom photograph below. We had the same restricted views when approaching from a sideways angle from above or below. The Intel Core i3-330M (2.13 GHz, 3 MB L2 cache) is Intel’s least powerful Arrandale processor. The related i3-350M model is slightly faster at 2.26 GHz. The i3-330M has an integrated graphics unit as well as a memory controller; however the Intel HD graphics has been deactivated in favour of an ATI Mobility Radeon HD 5430 (512 MB GDDR3). More on the HD 5430 in our gaming performance section. The Core i3 is backed up by 4,096 MB of DDR3 SDRAM (two modules). In contrast to the older Intel Core 2 Duo processors, the Core i3 has a significant new feature: hyper-threading (HT). HT adds a virtual core for each of the two real cores, so the dual-core processor can actually work using four threads. The difference between the i3-330M and the Core i5 and i7 is that the Core i3 does not come with Turbo Boost. Turbo Boost is of particular benefit to professional users and gamers, as it means that both multi-core and single-core applications can be accelerated, the former through HT and the later through Turbo Boost. But, users of the G62-130EG will only be able to profit from the hyper-threading and not Turbo Boost. 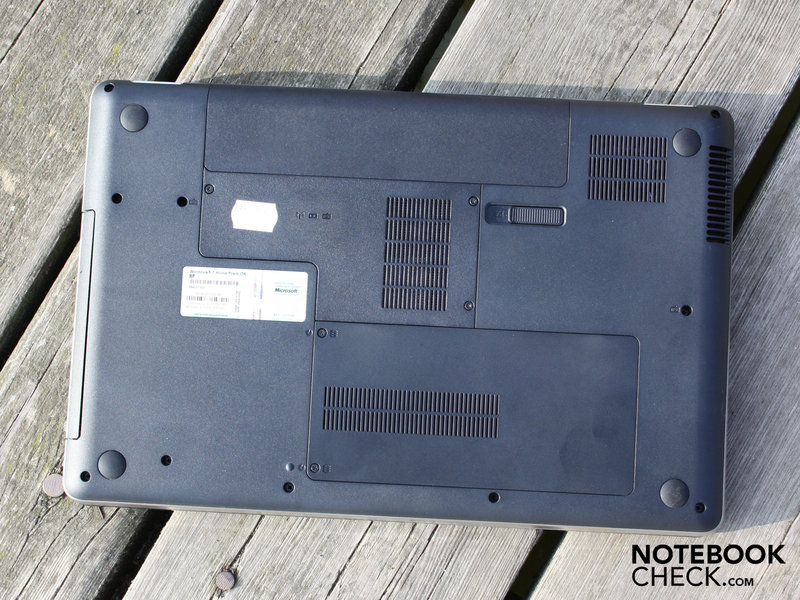 The notebook achieves a surprisingly high score of 5,005 points on the PCMark Vantage test. This result represents the overall application performance of the notebook, as it tests all components from the CPU to the GPU to the memory using benchmarks which closely imitate everyday use (e.g. video transcoding). With 5,005 points the G62 is up there with the Toshiba Satellite L550-207 (4,956 points) which has the same i3 processor but a considerably stronger graphics card (the HD 5165). The average score for Core i3-330M systems is around 4,600 points, with the slowest machine scoring only 4,300 points (the Medion P7615). 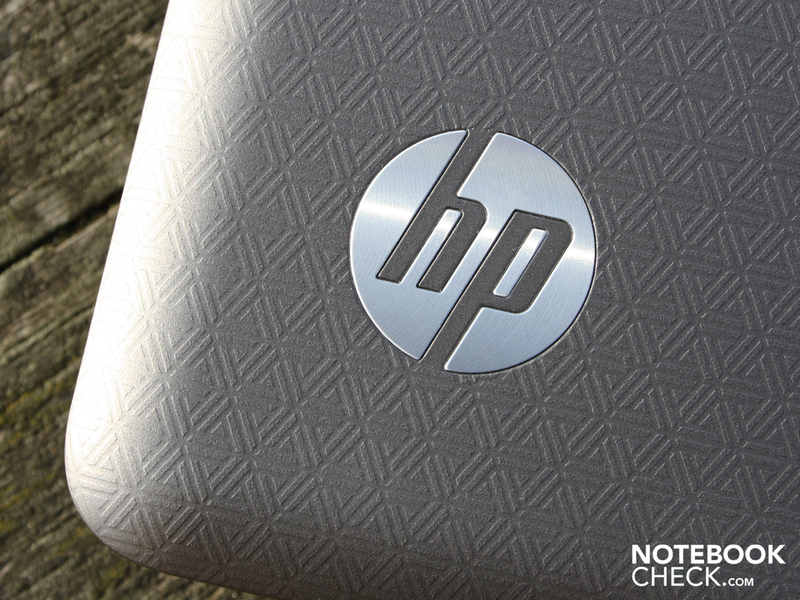 This means that the HP G62 puts in an above-average performance for an i3. We also got this impression from the overall working speed that we experienced; installations, program start-ups, everything progressed very quickly. 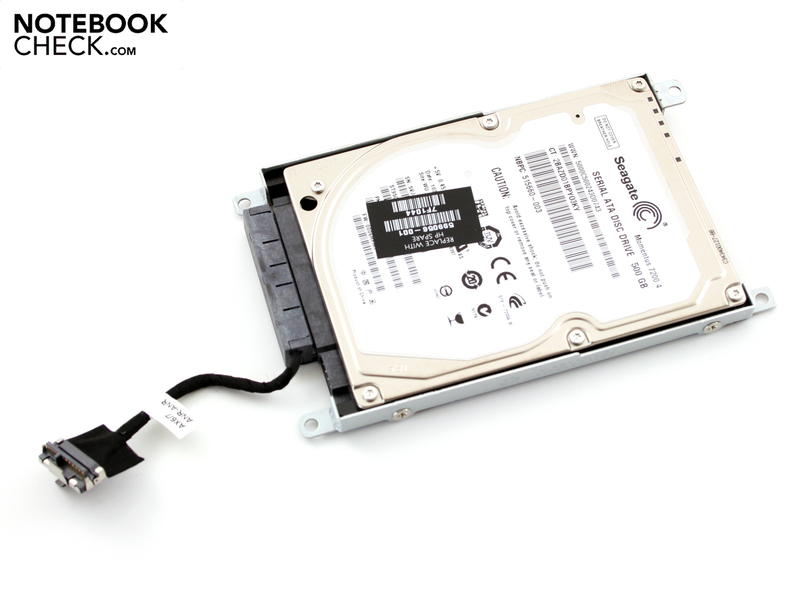 The reason for the good system performance is the fast Seagate hard drive with 7,200 rpm. A hard drive score of 4,077 points in the PCMark Vantage test is impressive. Typical 2.5-inch HDDs with a speed of 5,400 rpm generally achieve between 2,500 and 3,000 points. The hard drive can create bottlenecks, so that laptops with a strong dedicated GPU don’t necessarily have very good system performance. 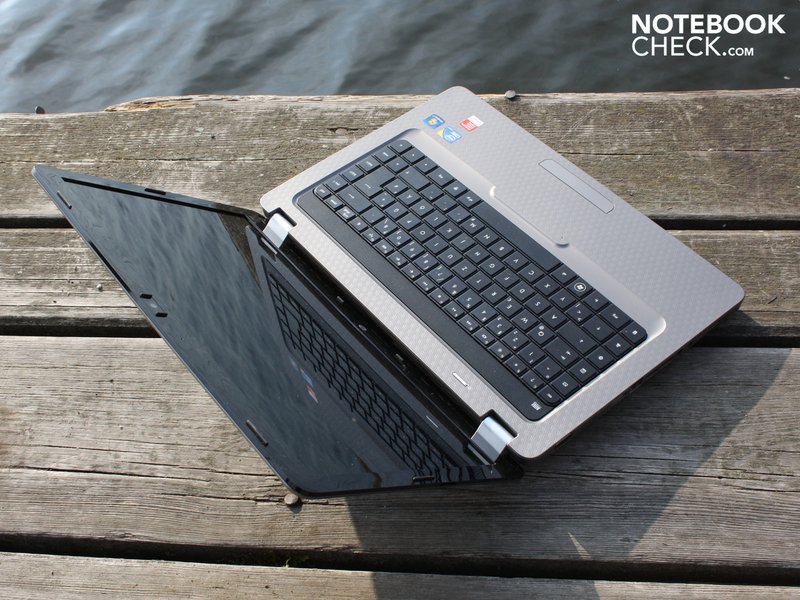 An example would be the Acer 8942G-334G64Mn (ATI HD 5650), which only gets 4,755 points. 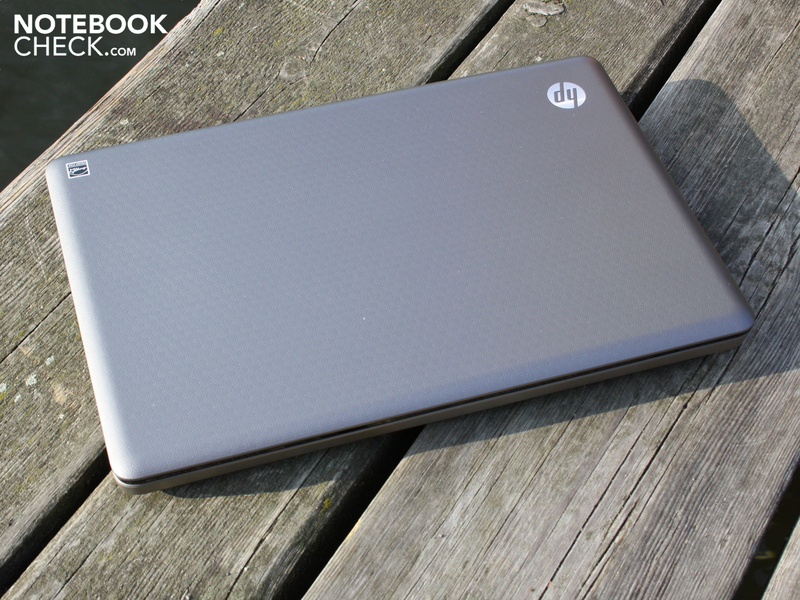 A quick look at the Core i5-520M processor is enough to show where the HP G62 stands with its i3-330M. A Dell Studio 1558 with the 520M scores 5,929 points and doesn’t even have a dedicated GPU. A Samsung R580-JS03DE can reach 6,026 points (Geforce GT 330M). The reason for this big difference is the Turbo Boost function that the i5 and i7 processors have, as well as the faster standard clock speed of the processor. The 7,200 rpm hard drive (500 GB) by Seagate turns out to be one of the highlights of the G62. The Momentus ST9500420AS reads data from the rotating disks with a speed of 82.7 MB/s (sequential read). This is what helps the G62-130EG to its above-average system performance. 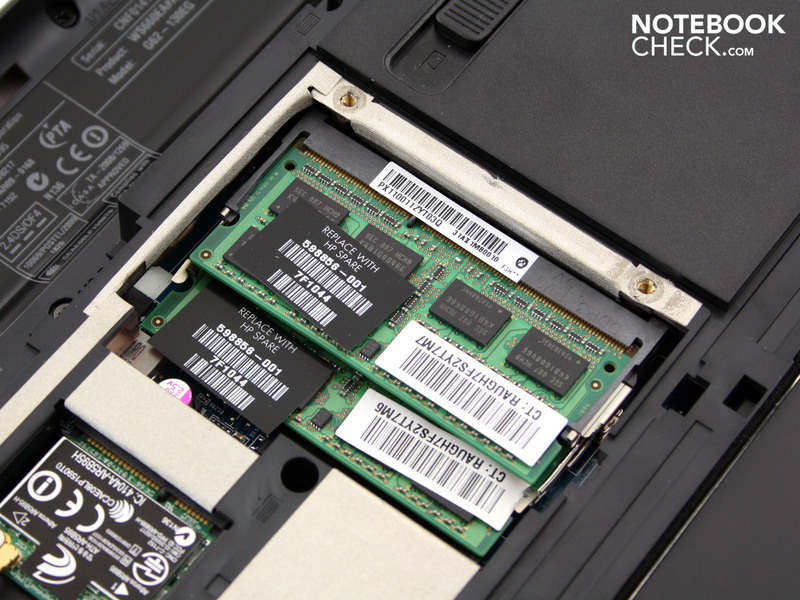 The average sequential read for a 2.5-inch notebook HDD (5,400 rpm) is around 65 MB/s. You can hear the hard drive when it’s active - an unobtrusive rattling and clattering of the reading and writing heads. But we actually welcomed this feedback from the HDD, as the hard drive status LED was barely visible from its position on the left-hand side of the case. The G62 was never intended to handle computer games. Or was it? 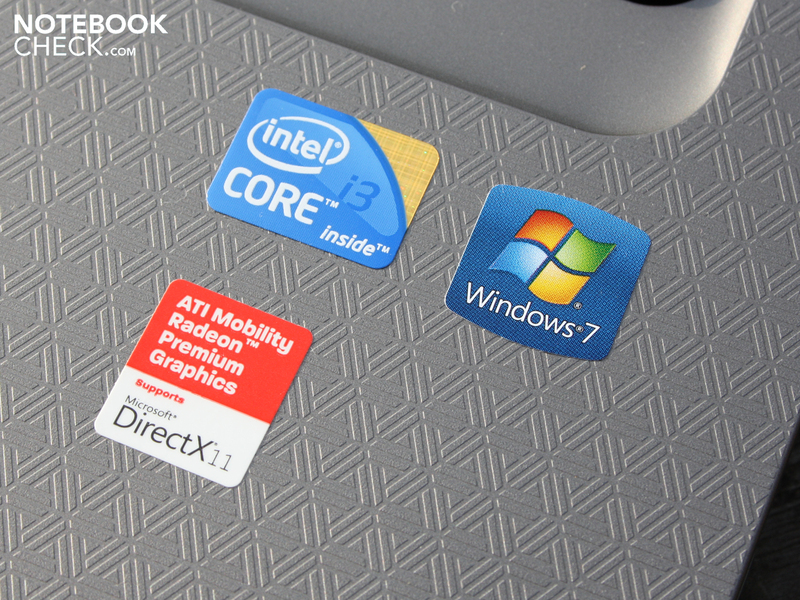 A little sticker on the base unit proclaims that the ATI graphics card supports DirectX 11. The ATI Mobility Radeon HD5430 has access to 512 MB GDDR3 video memory and is classed as a starter-level graphics card by AMD. The memory has a speed of 800 MHz, and the core has a speed of 500 MHz. This is the big difference between this GPU and its cousin the HD 5470 (memory speed 800 MHz, core speed 750 MHz), which is used in a great number of mainstream notebooks. In the 3DMark06 test it arrived at a predictably weak score of 3,082 points (the HD 5470 scored 3,702 points). 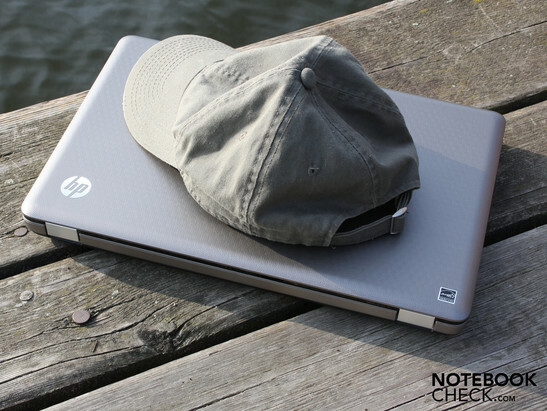 Gaming fans can perhaps already guess what will happen when the notebook takes on some modern games. But we refused to take anyone’s word for it, and performed two gaming tests with popular first-person shooters. The Japanese are punished mercilessly in this game, and the same goes for the HD 5430. It can only manage 15 fps on the medium settings (1,366 x 768, medium, HBAO off, 1 x AA, 1 x AF). An HD 5470 can also only manage 20 fps. Dialing the settings and details down to low (1,024 x 768, min, HBAO off, 1 x AA, 1 x AF) doesn’t bring any relief at 20 fps (27 fps for the HD 5470). Conclusion: Battlefield is a no-go for the G62-130EG. To compare, a Toshiba Satellite L670D-120 with HD 5650 (mid-range graphics card) manages 39 fps on the game’s medium settings (1,366 x 768, medium, HBAO off, 1 x AA, 1 x AF). How much would it set you back? €635. It’s the same story with this first-person shooter by Infinity Ward. On low detail settings and a resolution of 800 x 600 (0 x AA) a fluid 58 fps is possible, but the game looks very grainy. On the medium settings (1,024 x 768, 2 x AA, medium details) the frame rate nosedives. 24 fps is the average, and the game is very jerky. To compare: with an ATI HD 5650 (for instance in the Acer Aspire 5625G-P924G50Mn) Modern Warfare 2 is playable even on its high detail setting, with 39 fps. 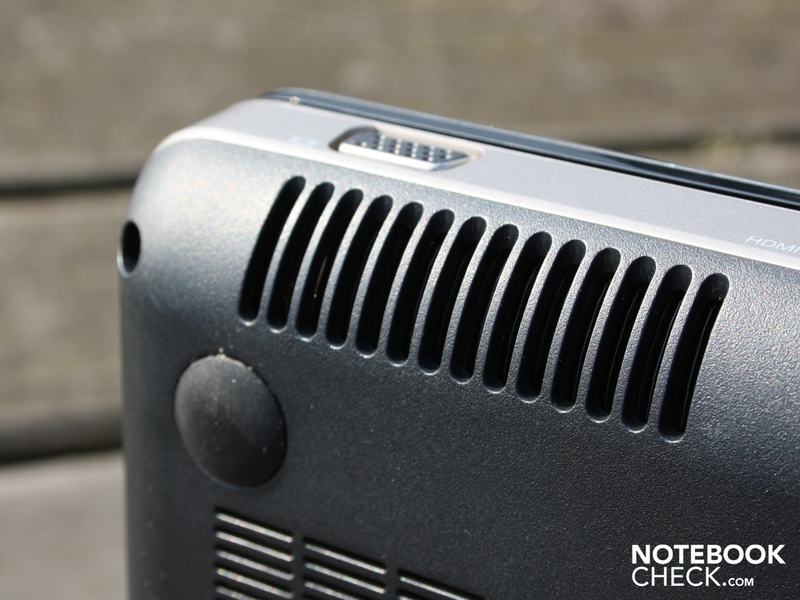 The gaming tests show that the ATI HD 5430 is not up to much. You should not hold out much hope of playing the more modern and demanding games on this notebook. Older games like Left 4 Dead should play, but only on their medium settings. Anyone looking to play games on a tight budget should pay just a little more and consider something like the Toshiba Satellite L670D-120 with ATI HD 5650 (from €635). 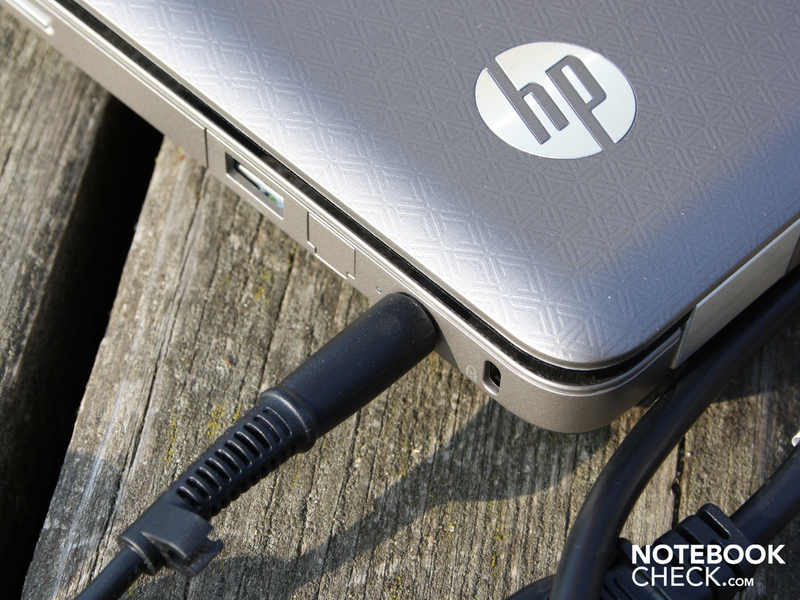 When it comes to noise, the HP G62 is unremarkable. While writing emails, listening to music or typing in Word, the fan runs at a constant low speed, not fluctuating at all. It never turns itself off. We measured a volume of 31.7 dB(A) during ordinary use without a continuous workload. When active, the hard drive makes an unobtrusive whirring at 32.2 dB(A). During the two gaming tests the fan only reached 33.4 dB(A). We did detect fluctuations between two different fan speeds (32.9 and 33.4 dB(A)). It was only when we carried out our usual stress test (Furmark and Prime95) for two hours that we could tempt the fan out of its comfort zone; the noise rose to 43.3 dB(A). Overall the cooling system made a good impression on us - when needed (during games) it gets down to work smoothly and consistently. When this isn’t necessary, it keeps quietly to the background. One small criticism to note: when we picked up the base unit and turned it around quickly, the fan started to scratch against its mounting. This makes it slow down for a short while before speeding back up again. 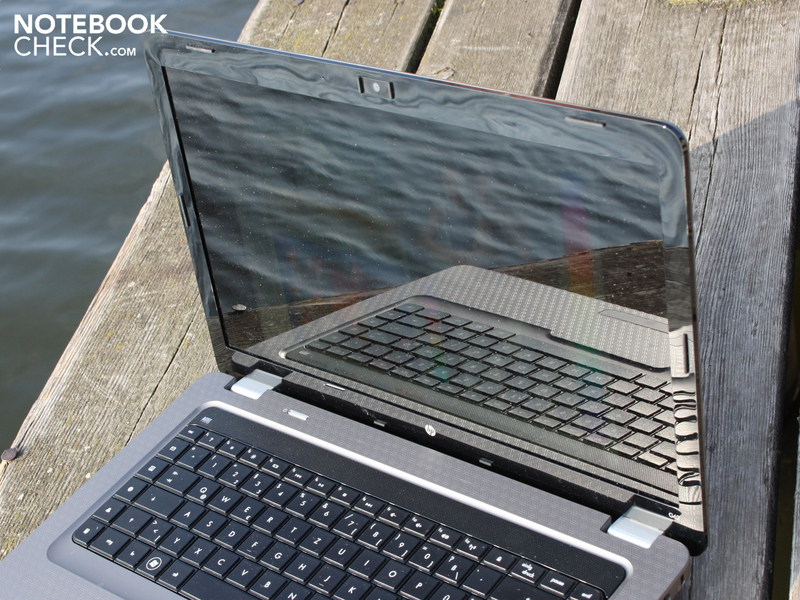 During a scenario involving text editing and web surfing, the average temperature on the top side of the laptop is 32°C. Meanwhile the palm rest stays in the blue zone with temperatures between 30° and 34°C. 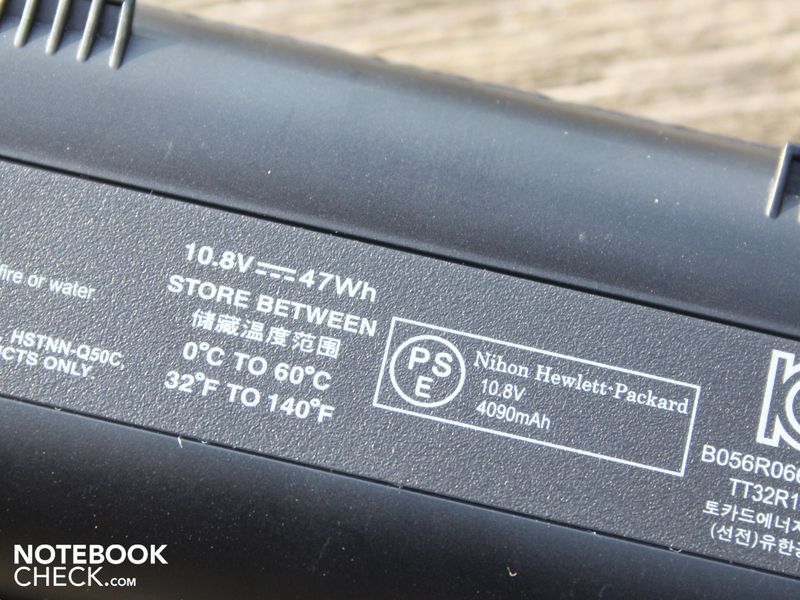 The underside heats up more quickly, but does not hit the critical 40°C mark. Only under a heavy workload do the temperatures head into the red zone. 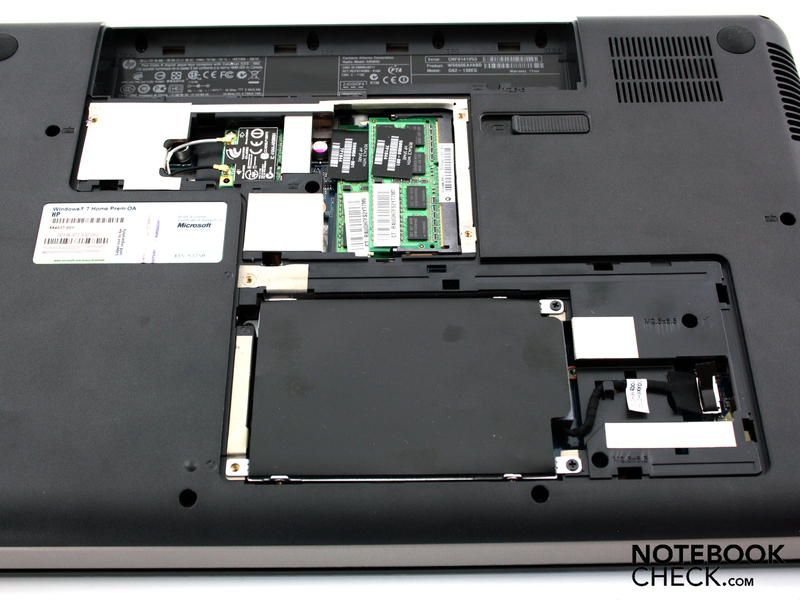 We took a maximum reading of 46°C on the upper side of the laptop during the stress test. You may get warm fingers when you play games; we measured 44°C in the middle of the keyboard. The underside now reaches a maximum temperature of 48°C in the middle segment. The temperature sensor on the processor gave a maximum reading of 86°C for the CPU and GPU during 100% usage. This is not yet approaching a dangerous temperature for a 35 Watt CPU (TDP) like the Core i3-330M. (-) The average temperature for the upper side under maximal load is 40.6 °C / 105 F, compared to the average of 30.9 °C / 88 F for the devices in the class Multimedia. (-) The maximum temperature on the upper side is 46.5 °C / 116 F, compared to the average of 36.5 °C / 98 F, ranging from 21.1 to 71 °C for the class Multimedia. (±) In idle usage, the average temperature for the upper side is 32.5 °C / 91 F, compared to the device average of 30.9 °C / 88 F.
(-) The average temperature of the palmrest area of similar devices was 29.1 °C / 84.4 F (-12.9 °C / -23.2 F). 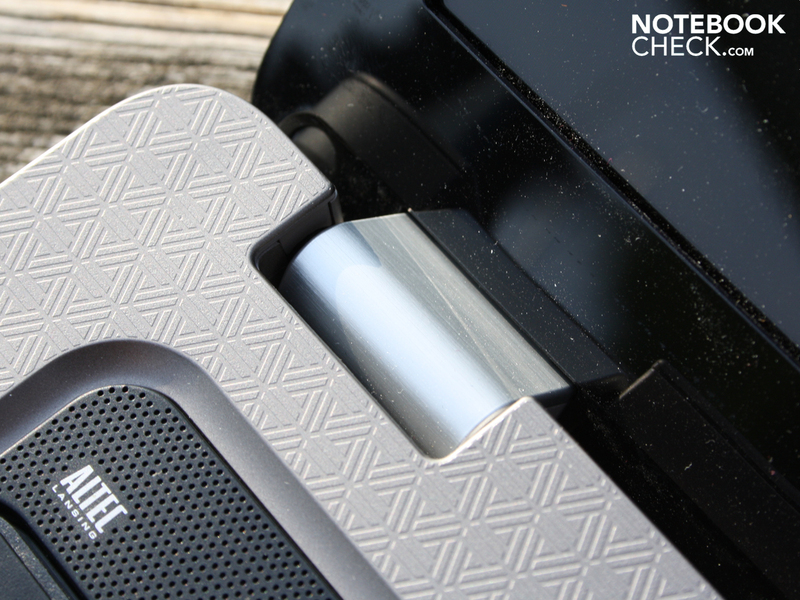 The HP G62 has stereo loudspeakers; an Altec Lansing sound system according to the lettering on them. There is no subwoofer for improving the bass notes. However, we found the sound quality to be well-balanced at every volume. The speakers, positioned above the keyboard, do a reasonable job of reproducing high and middle frequencies and even a touch of bass. In the sound setup menu (loudspeaker properties) we found the sound effects that are responsible for the good sound quality. The ‘BassBack EXP’ effect in particular brings bass sounds back into play. 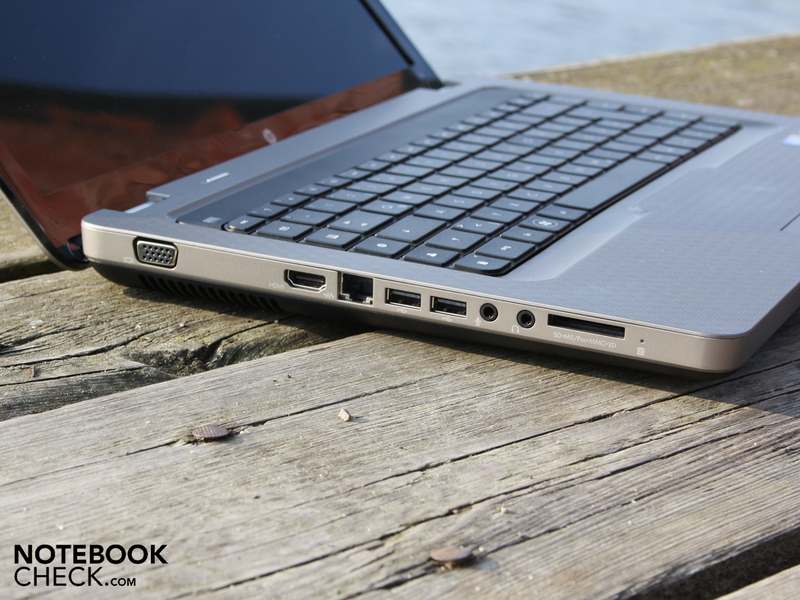 The volume level is sufficient for a 15.6-inch notebook. At maximum volume there is no sign of distortion or crackling in the sound. 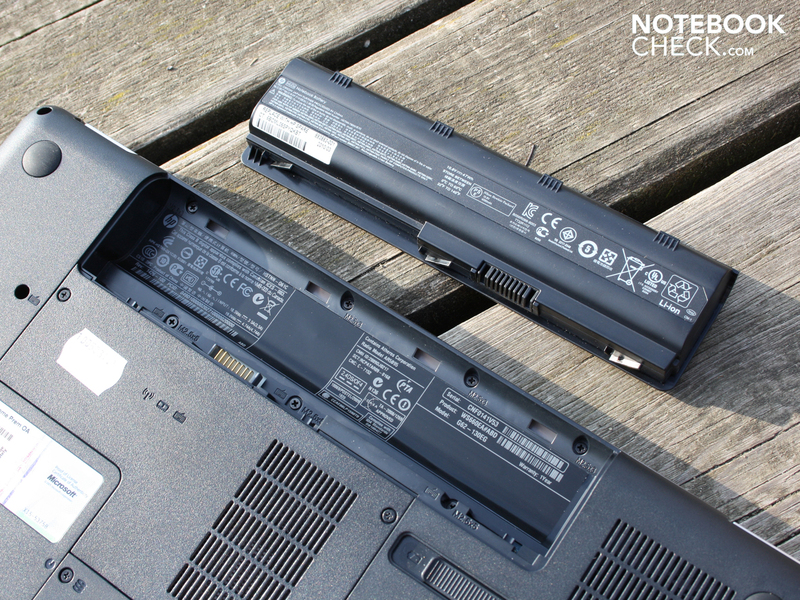 Netbooks have driven up expectations for notebook battery life. So the G62-130EG will not really impress anybody with its 2 hours 41 minutes (WLAN test). This is the price you pay for the Core i3-330M processor with its high TDP of 35 Watts. This is especially true of the battery life during heavy CPU usage (only 75 minutes). The battery life for an internet surfing session with WLAN activated was 161 minutes (2 hours 41 minutes) as we said; during this time we visited news sites and generated a CPU usage of 7-10%. Undemanding users could extend the battery life to 3 hours 51 minutes (Battery Eater Reader’s test, idle). But this run time of 231 minutes is purely theoretical, as few people would actually use their notebook on the lowest brightness setting, with no WLAN, and no processor workload. We were able to watch a DVD film for 138 minutes (2 hours 18). The 4,090 mAh (47 Wh) battery would be ready for the next film session only after 1 hour and 55 minutes; this is how long the notebook takes to fully recharge. 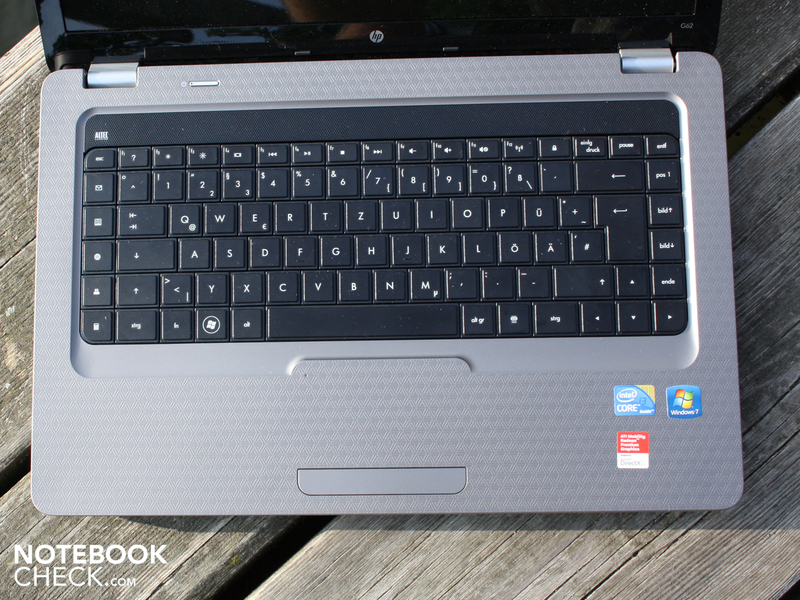 In its capacity as a multimedia laptop, the HP G62-130EG shouldn’t get through too much energy. This is true for the most part, but it is still not the most efficient machine ever made. Its idle energy usage is 12.5 Watts, as long as all energy-saving options are enabled and the brightness is on its lowest setting. An Acer Aspire 5741G-334G50Mn with the same CPU and a similar GPU (HD 5470) is slightly more efficient at only 10.5 Watts. Realistically, energy-conscious users of the G62 will be looking at between 15 and 25 Watts during office usage. 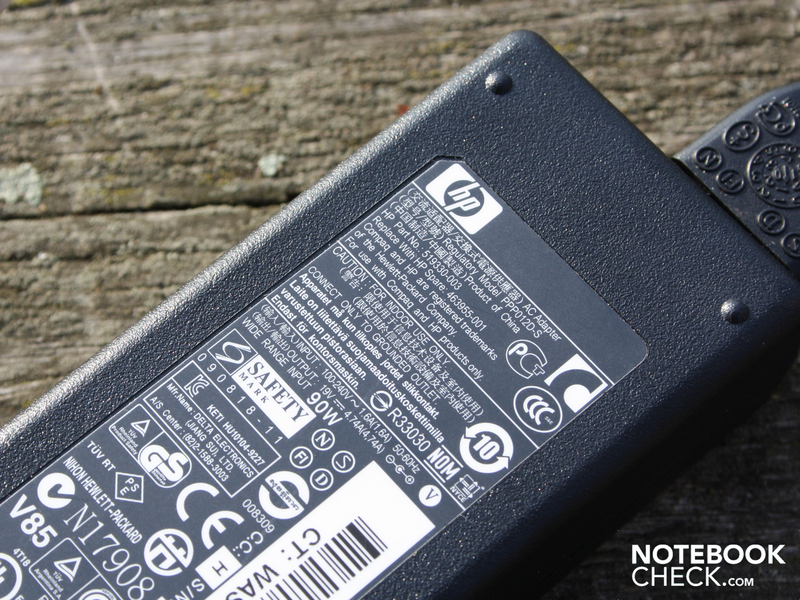 The notebook should be unplugged from mains power when not in use, because even when turned off it continues to draw 0.6 Watts of power. When the ATI HD 5430 is occupied with the 3DMark2006 benchmark, its energy consumption rises to 46.7 Watts. The G62 would need a similar amount when running a demanding computer game, for example. We determined the maximum energy consumption using Prime95 and Furmark (a stress test). The multimeter showed 62.3 Watts; this means the 90 Watt mains adaptor has a suitable capacity. 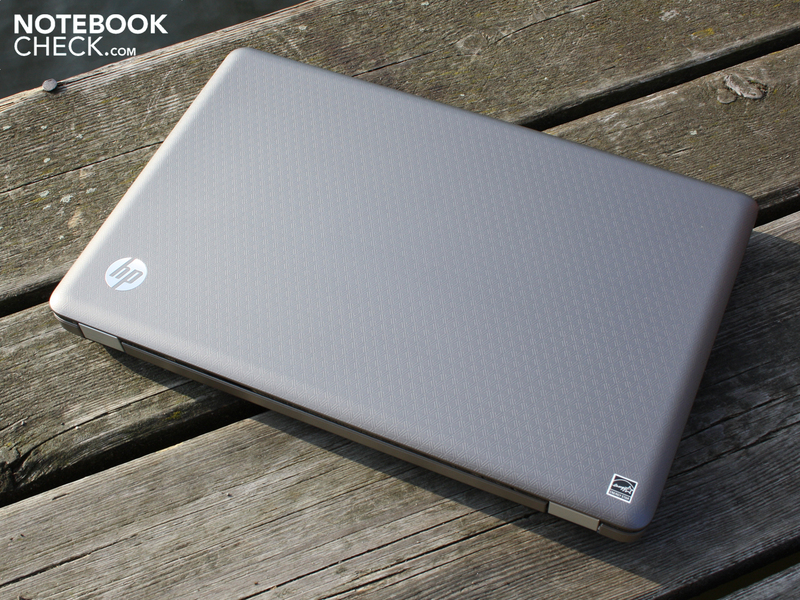 The HP G62-130EG with Core i3-330M (2.13 GHz) processor is an office all-rounder with multimedia aspirations. The Core i3 is the least powerful of Intel’s new Core CPUs, but the system performance is above average for an i3 thanks to the 7,200 rpm Seagate hard drive. 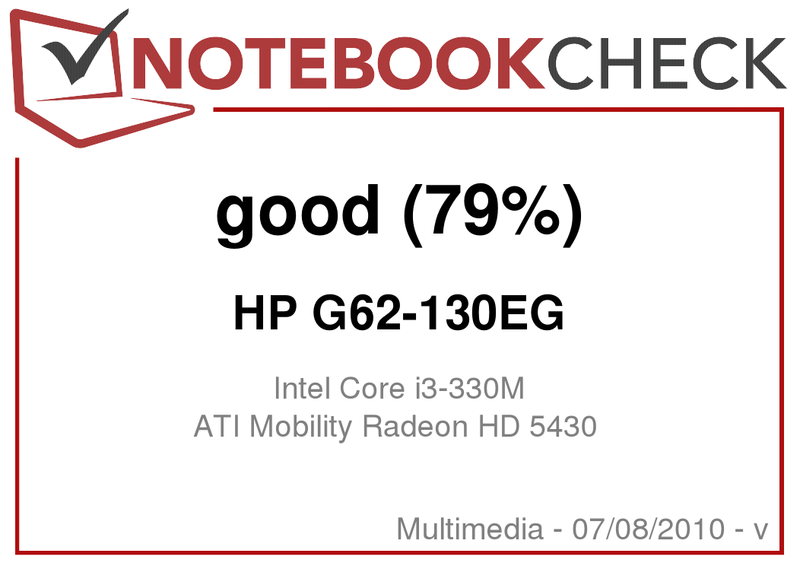 Sadly the GPU is below average - a basic-level ATI Mobility Radeon HD 5430. It is largely incapable of playing modern 3D games, not even with the lowest detail and resolution settings. If you are serious about gaming you should at least look for something with an HD 5650 or Nvidia GT 330M. The 15.6-inch machine’s battery life falls below expectations. Two and a half hours while surfing the net over WLAN or watching DVDs is pretty uninspiring in these days of 10-hour netbook batteries. On top of this, the screen is too dark and is not matt, which makes working outside somewhere between very difficult and impossible. Amongst the G62-130EG’s successes are its robust case with a commendably resilient surface. Our ergonomic readings (system noise, temperature) were good and the input devices are excellent aside from the problem with the touchpad buttons. 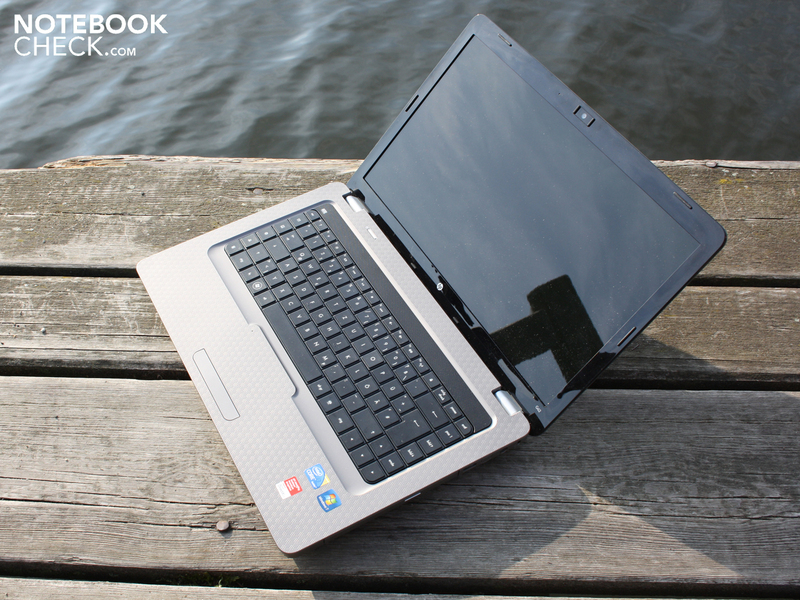 The G62-130EG is a fast office notebook with a unibody look, suitable for anyone who is not too concerned about gaming performance or portability. 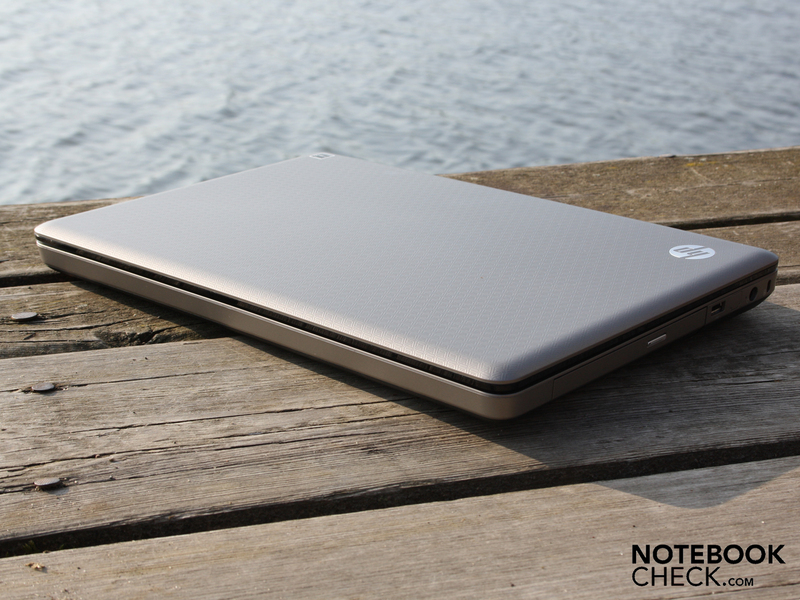 The 15.6-inch notebook is available from €565. 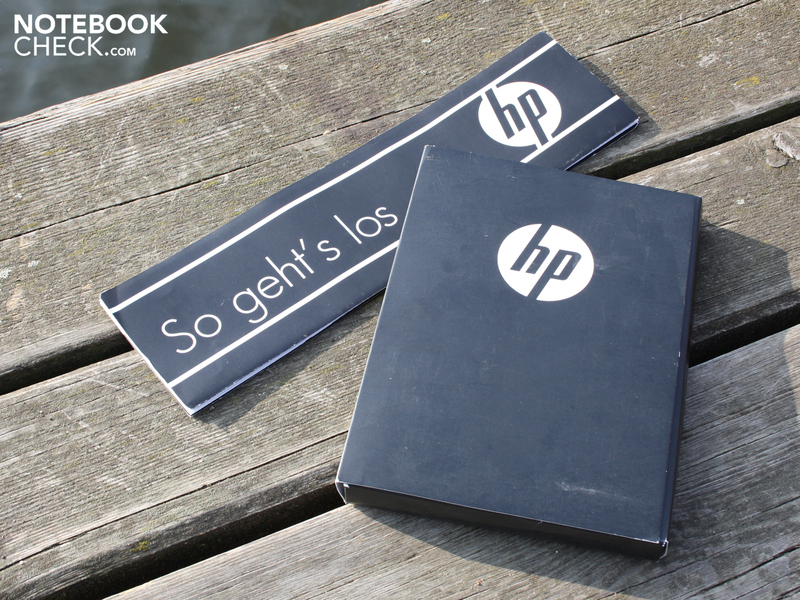 A robust mainstream notebook from HP. But sadly the glossy display puts an end to all that. Not least because it collects large amounts of dust. The webcam with a low VGA resolution (640 x 480) did not knock our socks off. 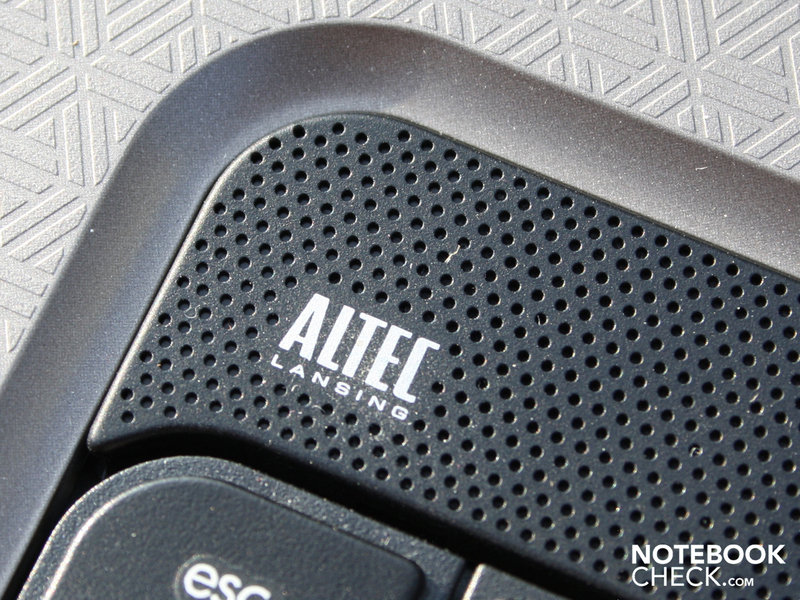 But the loudspeakers did - the Altec Lansing system produced a well-balanced sound. 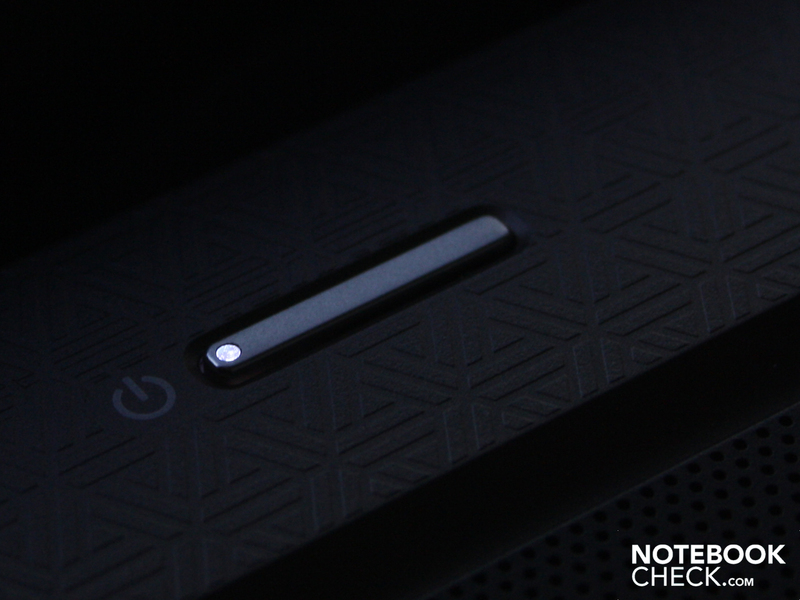 and the dainty power button. We only needed one hand to remove the battery. One click, and the battery is unlocked. means the battery life does not even reach 4 hours. The HP G62-130EG with access panels removed. The DDR3 memory consists of two modules of 2,048 MB. The WLAN module in the mini PCI Express slot. The SATA hard drive with a speedy 7,200 rpm. It is very compact for a 90 Watts adaptor. with a plug that sticks out quite a way. 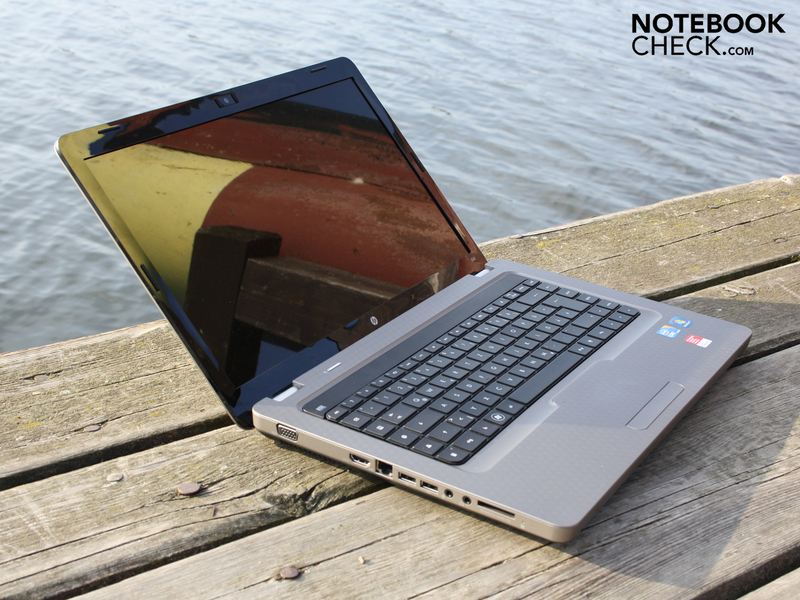 It features the starter-level Core processor, the i3-330M, as well as an ATI HD 5430. HP call this colour and design biscotti with a prism pattern. The case is not light at 2.55 kg. But its non-slip surfaces make it comfortable to carry. 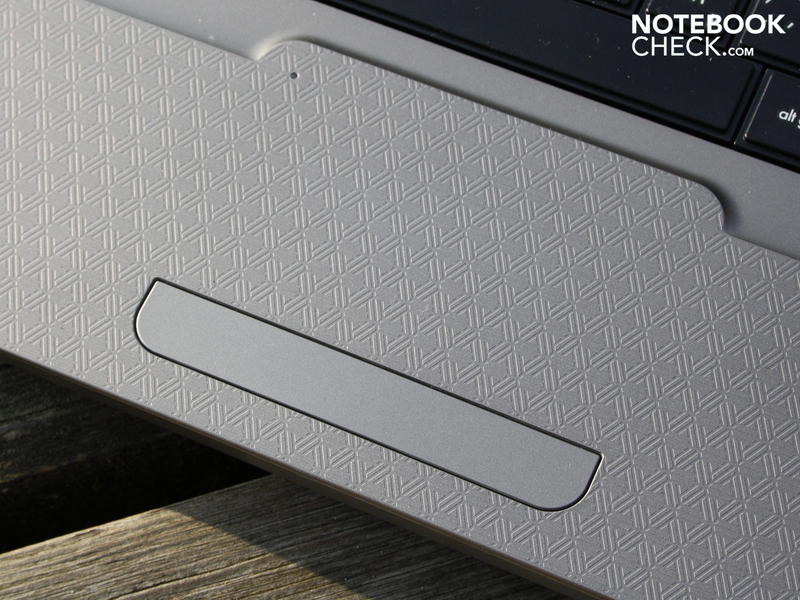 repels fingerprints and is scratch-resistant. 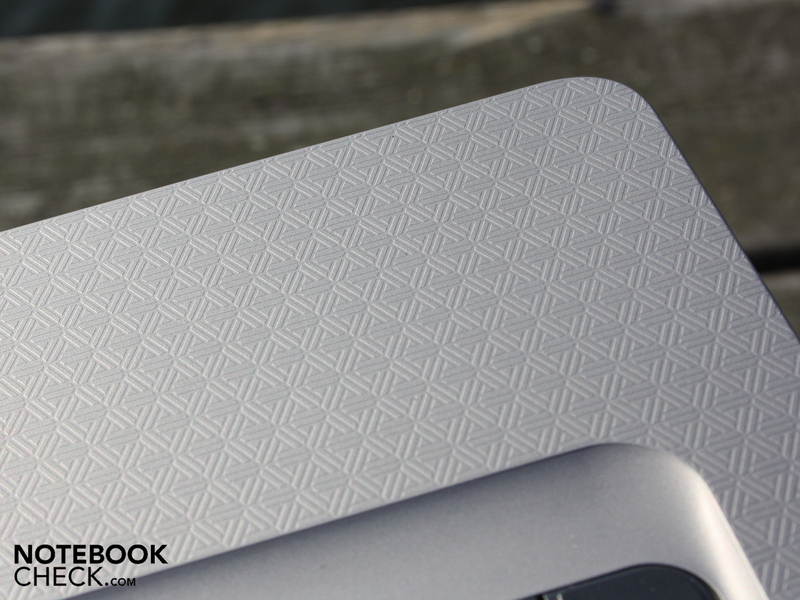 this is a notebook that can withstand a good deal. Connect to a power supply, first of all. Not much in the way of accessories - an instruction booklet and no recovery disks. The very durable lid surface. Is this the start of a new approach? A matt screen would have made this a good office laptop. The fast (7,200 rpm) hard drive raised the Core i3 processor, in itself rather weak, to a higher level. The system speed was noticeably faster. The Acer Aspire 5741G: with Radeon HD 5470 and a slimmer look; the Sony Vaio VPCEA1S1E/W: similar hardware in a 14.1-inch format; the Acer Aspire 4820TG: HD 5650 with a 14-inch screen; the Acer Aspire 5551G: with AMD triple-core; the Samsung P530 Pro: just for office use; the Packard Bell EasyNote TM87: looks good in red.